Earlier today, Genome Canada announced that it is investing $15.5 million in Canada’s new Genomics Innovation Network (GIN). The Network is comprised of ten “Nodes,” each receiving core operational funding from Genome Canada, with matching funds from various public and private sector partners. Two of the 10 Nodes – the Canadian Centre for Computational Genomics (C3G) and the McGill University and Génome Québec Innovation Centre – are McGill research centres. GIN is designed to allow innovation centres across Canada to collaborate and harness their collective power for the advancement of genomics research. Each Node provides Canadian and international researchers with access to the leading-edge technologies required for research in genomics, metabolomics, proteomics and related areas. These Nodes are also well positioned to push the boundaries in terms of developing new technologies in genomics and related sciences. The GIN is a new model, replacing Genome Canada’s former investments in five Science and Technology Innovation Centres. The new Network model places greater emphasis on collaboration and sharing of expertise among Nodes – something Rosie Goldstein, Vice-Principal (Research and International Relations) is enthusiastic about. “McGill is an established research leader in the genetics of human disease and we would like to thank Genome Canada for their ongoing support. As part of the new Genome Innovation Network, The McGill University and Génome Québec Innovation Centre and The Canadian Centre for Computational Genomics will provide cutting-edge support to large-scale genome projects to better understand human disease, and establish a national hub for analyzing genomic data for a broad research community,” said Goldstein. The Canadian Centre for Computational Genomics facilitates access to bioinformatics and computing resources for researchers in the life sciences, helping them realize the potential of genomic research. With next-generation DNA sequencing and other high-throughput technologies, data production is assured. The inability to process and interpret these data, however, is a major limiting factor for discovery and innovation. 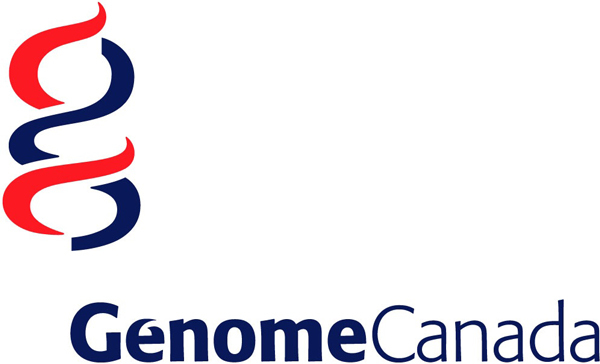 C3G is working in partnership with Compute Canada and CANARIE (which operates the national High Performance Computing infrastructure and ultra-high-speed backbone network) to facilitate access to bioinformatics and computing resources for Genome Canada’s Genomics Innovation Network, as well as genomics researchers more broadly. Specifically, C3G will focus on three areas: providing a unified service platform for genetic and epigenetic analyses across different research domains in the life sciences; installing and distributing a bioinformatics software suite on Compute Canada resources, making it broadly available and supporting it with a joint helpdesk; and further developing, deploying and commercializing open-source bioinformatics software solutions to facilitate data analysis. C3G will be a national hub for analyzing genomic data for a broad research community, enabling health researchers and those in other life sciences domains to better analyze their data sets using advanced analytical methods and to gain access to high-performance computing resources. Its work will help realize the potential of genomics research and bring new insights to different fields in the life sciences. The Innovation Centre is a world-class research facility for genomics. Founded in 2002, the Centre has developed world-renowned expertise in complex genetic disorders such as cardiac disease, asthma, type 2 diabetes, inflammatory disorders, infectious diseases and many others. It has worked with both internal and external users, either through collaborative or fee-for-service models. The Innovation Centre provides complete DNA and RNA analysis services, using the latest available sequencing and other technologies. The Centre also maintains full bioinformatics support for all its sequencing activities, using web-based user interface software. Its goals for the period of this award are threefold: to provide broad support to Genome Canada-funded and other large-scale genome projects using state-of-the-art approaches; to continue to strengthen its established leadership in the genetics of human disease; and to develop epigenomic applications to better understand human disease. The Centre will continue to leverage its support from Genome Canada to benefit the Quebec and Canadian genomics communities, both in academia and industry. Read more about the research being done in genomics at McGill.